It’s the zombie apocalypse! Load your squirt gun with holy water and start squirting in this awesome old school game – Zombies Ate My Neighbor! Rescue your oblivious neighbor from the horrors that enveloped the entire world! 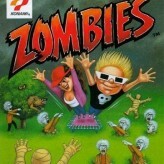 Zombies Ate My Neighbor is a classic run and gun arcade game for the Super Nintendo Entertainment System (SNES). 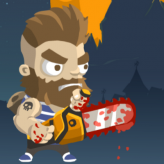 In this game, you will play as either Zeke or Julie and you’ll face endless hordes of zombies, aliens, werewolves, chainsaw maniacs, matango monsters, and even gigantic killer babies! Fight through 55 deadly levels trying to rescue your oblivious neighbor. Explore every nook of each level to uncover secret items, hidden weapons, extras, and so much more. 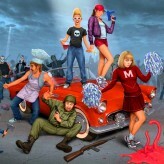 Are you ready for this weird retro styled apocalypse? There have been 23,615 plays and 17 likes from 18 votes (95%) since 18/08/2016. 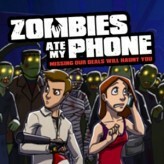 You are currently playing Zombies Ate My Neighbor game for free on Arcade Spot. It is a single game out of a variety of games that you can play on Arcade Spot. 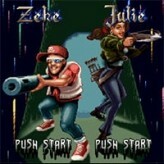 Play more games like Zombies Ate My Neighbor in the Action, Arcade, Classic, Emulator, Retro, Running, Shooting, SNES, and Zombie gaming categories. This game has a rating of 95 out of 100 based on 18 user ratings. If you enjoyed playing the game, give it a thumbs up. Free Online Games and Arcade Games are added every day. Arcade Spot will bring you the best games without downloading and a fun online gaming experience on the internet.